The worship ministry at Forest Hills Church exists for worshipers to encounter Christ, be filled with the Spirit, connect with the each other, and go to live out the mission that God has prepared for us. That's the theology at the heart of this worship ministry and why we gather each week. Worship is a journey that we take together. If you play an instrument, have a new art form to offer, an idea to share, or want more information on how to participate in the worship life of the church, please contact the Director of Worship Arts or anyone who is already involved in the worship ministry. It's a celebration of God. It's an expression of our love and gratitude. It allows us to reconnect and renew. It internalizes the story of Christ in us. 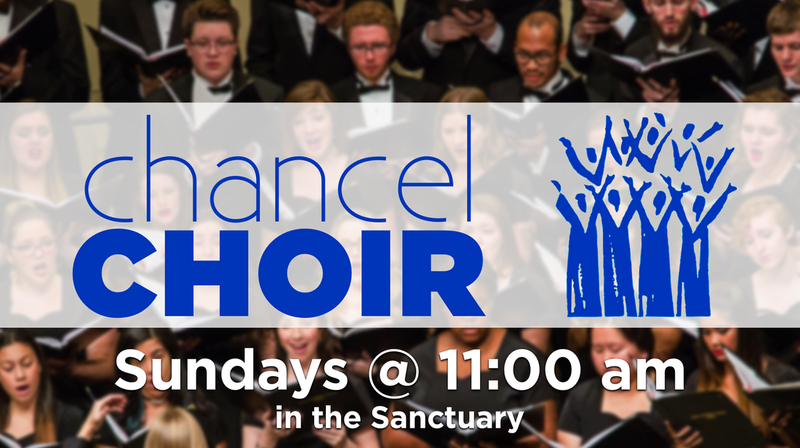 Chancel Choir rehearsals are held on Sundays 11:00 am-Noon in the Sanctuary. All skill levels are welcome. Possible side effects of singing with the choir are increased musicianship, spiritual growth, new friendships, laughter, and a plethora of health benefits that may include: increased circulation, reduced stress, and bolstered immune system. Seriously, you should try it out. Handbell Choir rehearsals are held on Wednesdays 6:30-7:30 pm in the lower-level Choir Room. Playing handbells is a great way to be involved in the music at church, especially for non-singers. Being an expert music-reader is not required. If you can count to 4 (sometimes 6) in rhythm and can shake hands, you're off to a pretty good start! Want to see what it's like to play bells? Sign up for our HANDBELLS 99.9 Workshop on May 4th at 9:30a. There is no cost or commitment expected for attending the event. 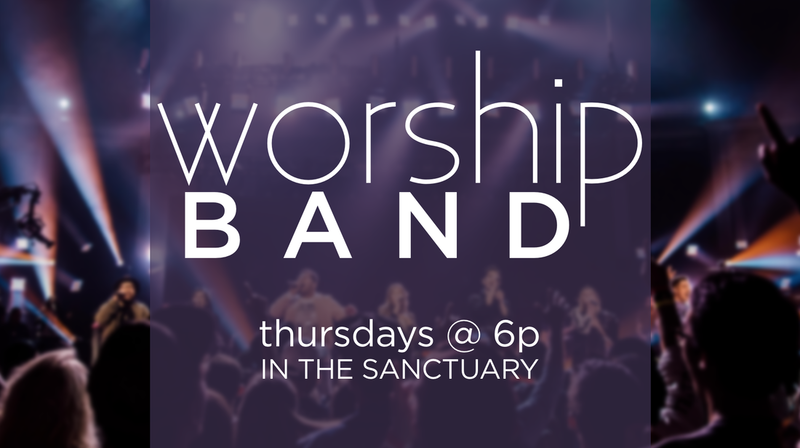 Worship Band rehearsals are held on Thursdays 6:00-7:30 pm ​in the Sanctuary. From the pews, it might look like there's no room in the inn when it comes to the worship band...but we can still find a comfortable place for you. If you play guitars, keys, percussion, or want to sing, talk to Zach Taylor at ext 104 or via email to find out where you can plug in. 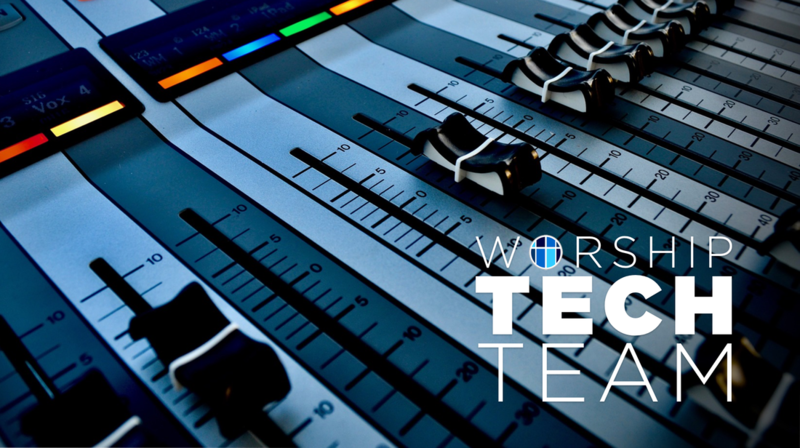 If you're more of a "behind the scenes" person who likes technology and making things happen, think about joining the Worship Media Team. Serving on the Media Team is about the least visible you can be as a worship leader. But, Audio and Visual technology play a HUGE role in worship leadership! We're always wanting to add more hands and ears to the group. ​If you're interested in joining the team, contact Jace Andrus via email or speak with him after worship on Sunday. If you're a current team member and can sign up to serve on a Sunday, click the button below.